Just a quick tut showing how to give moderators the power to do this. 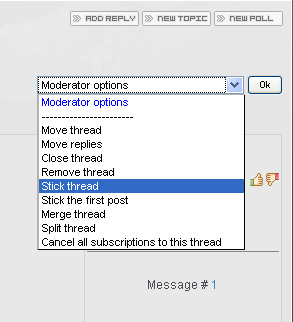 And choose a specific forum your want a MODERATOR to have powers so scroll down and you should see this. Click the + and type in the Moderators Exact name And Save It Should Work. NOTICE: IF YOU MODERATE YOURSELF OR A MEMBER AND CHANGE THEIR NAME PUT IN THE NEW ONE AND DELETE THE OLD ONE. I added images i don't know where they are...?